Plus10Kapow: Danglefoot Nail Polish Eat, Sleep, Poop, Repeat! Danglefoot Nail Polish Eat, Sleep, Poop, Repeat! What an absolute nightmare of a week. It was so hectic and stressful and nothing of course, went the way it was supposed to. But here we are in the weekend now and it's nice to just be chilling out. I am currently fighting fatigue and hoping I haven't typed any sensitive information or completely irrelevant conversation into this blog post! But you're blatantly wondering about this beauty. This is Eat, Sleep, Poop, Repeat from Danglefoot Nail Polish. 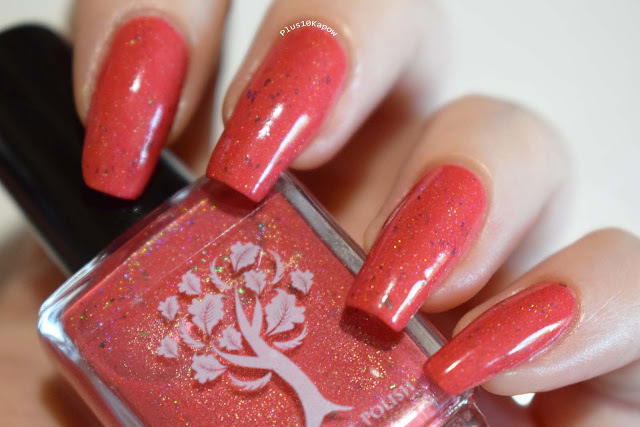 It is part of a trio of baby related polishes that Hayley released to celebrate the birth of her 3rd child, Levi. The name was a joint effort between me and Lea from LeasNails and as we had a hand in the name, Hayley kindly sent us a bottle each. Eat, Sleep, Poop, Repeat is a red toned, orange crelly with scattered holo and blue/green chrome flakes. It applied beautifully and was opaque in 2 coats. It dried quickly and to a smooth and glossy finish. These photos show it without topcoat! It was easy to remove and there was no evidence of staining. 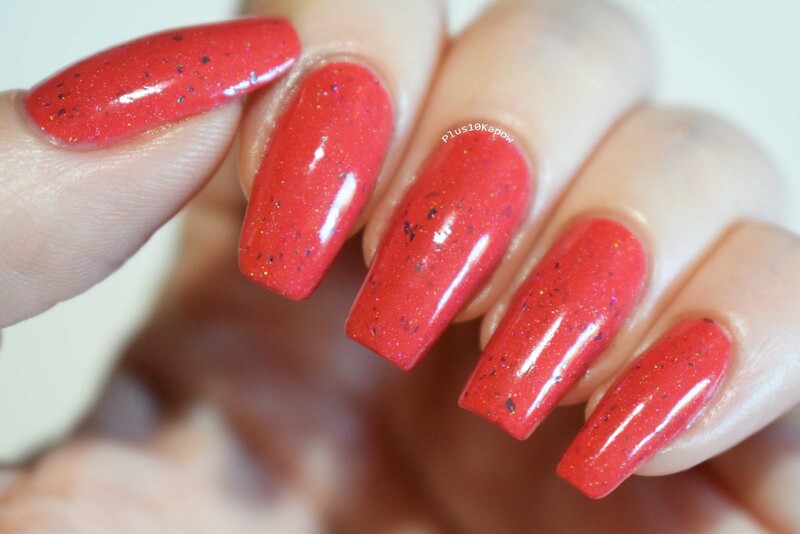 The Danglefoot Nail Polish store is closed for restocking right now but check out their links below so that you can keep up with what's going on and what beauties you can snag when the store re-opens!